What is your favourite type of mooncake? Mooncakes are eaten during the annual Mid-Autumn Festival, or Moon Festival on the 15th August of Chinese Lunar calendar. Originally, this festival celebrated the moon. The moon is seen as a symbol for family unity and harmony as well as an abundance of harvest. Since it is a very popular festival, mooncakes are sold in almost every Asian food shop. There are various types of fillings based on the culture or the region’s tradition. In Australia, since it is a very popular festival, mooncakes are sold in almost every Asian food shop or bakery. One of the most common places that have the most types of Chinese mooncakes is Breadtop or Market City. In Breadtop, besides the traditional flavors, there are a few more special fillings such as white lotus seed paste with triple yolks, lava custard, low sugar white lotus seed paste and macadamia nuts, mixed nuts with ham and so on. 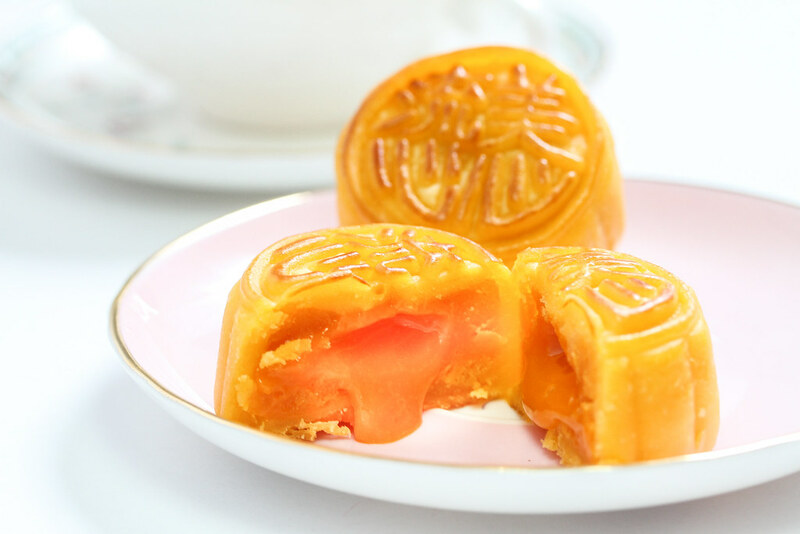 Interestingly, new generations of mooncakes can have transformations in taste and dietary needs, since people are more conscious about maintaining a healthy lifestyle. Therefore, bakers created low-fat, low-sugar mooncakes with ingredients such as yogurt, jelly, and fat-free ice cream. They also offer a healthier choice of filling like green tea, ginger, fruits or veggies. According to some brands, one baked lotus seed paste mooncake with one egg yolk weighs about 180g, has 790 calories, and contains 45g of fat. Mooncakes in Vietnam are widely known as ‘Banh Trung Thu’ with two common kinds: Baked sticky rice cake and plain sticky rice cake. Both are prepared from cooked glutinous rice. 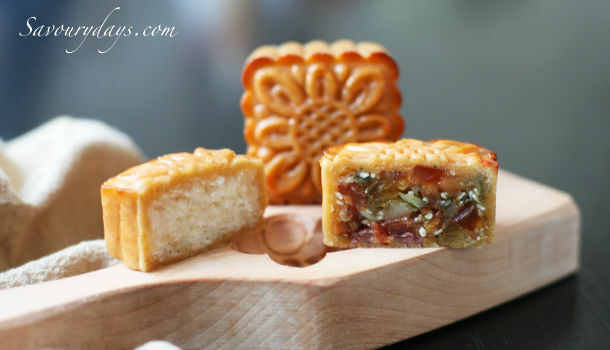 The mooncakes have a crust consisting of cooked glutinous rice powder, sugar and water. The filling consists of delicious ingredients like jam, mung beans, eggs, lotus seed and watermelon seed. 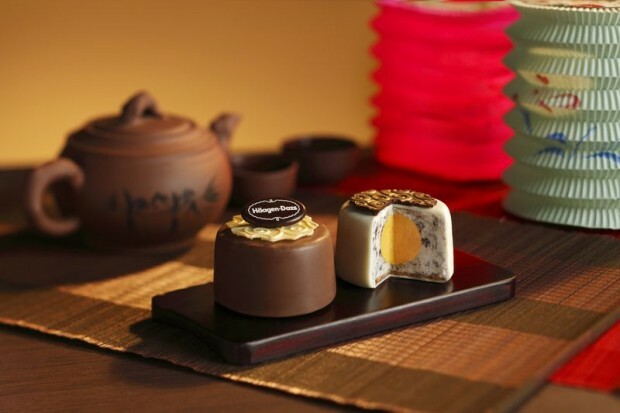 Mooncakes and tea are a traditional combination of Chinese food and together they create a new flavour. The green tea mooncakes are made by adding green tea powder to the other fillings and some lotus paste. Mooncakes in Japan are known as Geppei. The red bean paste (Azuki) is the most popular filling, followed by chestnuts and beans. Unlike other mooncakes, Geppei does not make use of egg yolks as it is not preferred by many Japanese people. Sounds exciting, right? The ice cream mooncakes are usually square or round in shape. The crust is made from dark or white chocolate and the fillings can be an ice cream flavour of your choice. It also consists of egg yolk and is popular among youths. ***Tip: Buying a box will be cheaper! 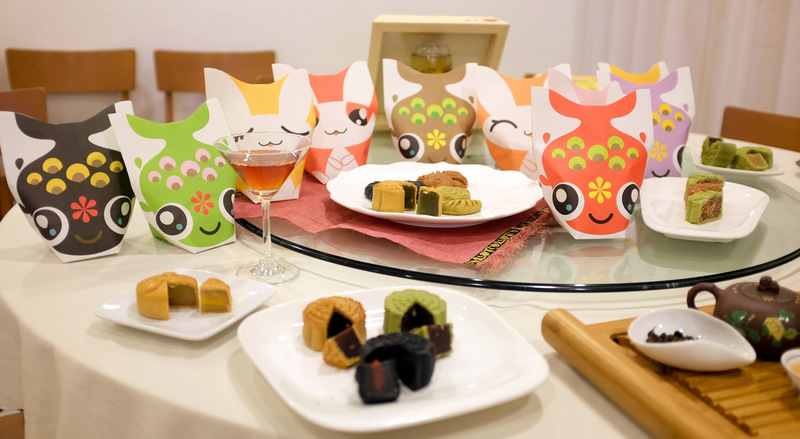 Have a wonderful evening tasting mooncakes with friends or family with cups of hot tea!!! What are your favourite flavours?